The Eastern Plain extends from the south of Bastia to the north of Porto-Vecchio. Tourists often ignore this region, preferring the far south or Balagne. This is unmerited, because there are magnificent landscapes, offering all kinds of recreational activities, typical villages, an important cultural heritage as well as many beaches for a holiday by the sea. The Eastern Plain is 80km long, extending down the entire eastern coast of the island, and about 15km wide. The countryside is full of contrasts, a harmonious combination of long, fine sandy beaches, plains and mountains ! From Moriani to Aleria, you will take advantage of large beaches and rivers which will permit you a small cooling in the scorching sun of the summer days. This is also a region where craft industry is very present. So, you will have the possibility to admire cutlery, glass-making, beekeepers, vineyards….. This region consists of 14 communes and 17km of fine sandy beaches. You will discover a large diversity of landscapes beaches with gentle slopes that are ideal for children, a mountain area with charming villages perched on the mountain-sides or in the plains. - Discover the Botanical Trail of San Giovanni Di Moriani where you can view about fifty Corsican plants, trees and shrubs. This region is located half-way between Bastia and Bonifacio. 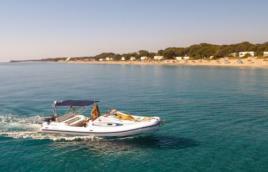 Its location is ideal to explore all of Corsica. Its shores, formed by the alluvial deposits from the Tavignanu River, have created magnificent ponds. You will also find beautiful beaches as well as mountainous massifs. 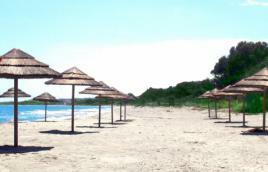 - Chiosa Beach in Solaro, a very nice sandy beach offering a wonderful panorama view on the majestic Needles of Bavella! 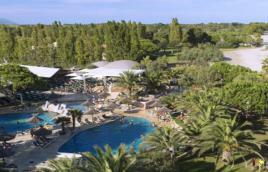 - In Costa Serena you will find naturist holiday resorts in Ghisonaccia, Aléria and Linguizetta! In Costa Serena you will find in Aleria one of the best Thalassotherapy centers and it is open all year round! So during your holidays enjoy a moment of relaxation at this wonderful SPA. - The natural and exceptional setting of the Diana Pond makes it one of the most remarkable landscapes in Corsica! It is especially known for its oysters and mussels available all year long, so don’t hesitate, come and taste some during your vacation! - Don’t miss visiting the ancient city of Aléria and its museum dedicated to Corsica under Genovese rule! which is located in the Fort of Matra dating from the 16th century and built by the Genovese after their victory over Pisa. This fort was declared a classified historical monument in 1962! If you want to spend your holiday in this micro region, it is good to know that Serena has many recreational and cultural activities to offer for the entire family! 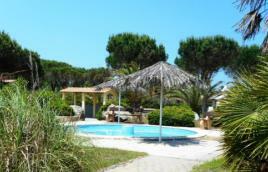 This one is a part of southern Corsica, at a few kilometres from Porto-Vecchio. It got its name from a seashell that used to be very common in this region. The best definition of La Côte des Nacres is “ between sea and mountain”. 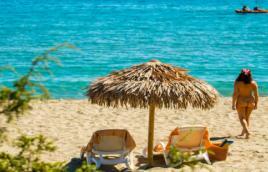 You will find along the coasts nice small creeks and beautiful sandy beaches. - The wonderful Scaffa Rossa Beach in Solenzara, a very beautiful beach of golden sand surrounded by rocks and offering a wonderful view of the Bavella Needles. - In Solenzara there is one of the biggest tree-climbing parks of Europe with a via ferrata, an adventure and a baby park and a spectacular view of the mountains, an ideal place to have a great time with the whole family ! - The river of Solenzara will let nobody indifferent with its clear water, its waterfalls and its natural pools. - Forest also has a privileged place into the region with its chestnut trees, its pine trees, and its oaks with notably this of l’Ospedale which hides a wonderful lake which is worth while as for beauty of place. - That is also into this region that you will admire the majestic needles of Bavella, big place of Corsica and also one of the most beautiful of the island. - in Sari-Solenzara come and visit the Assunta Gloriosa Monastery! A modern architecture of clean lines, it was built after 1975 by the nuns themselves (Monastic Family of Bethlehem, of the Assumption of the Virgin and of Saint Bruno). The chapel is open all day long, including during liturgical services. You can buy homemade products from the Monastery! The Eastern Plain has all the ingredients to ensure that you will have an unforgettable holiday in this region, so don’t hesitate and come!